Sivakarthikeyan is all set to work with director P.S.Mithran of Irumbu Thirai fame for an project tentatively titled #SK15. The movie will be produced by R.D.Raja under his banner 24AM Studios. Yuvan Shankar Raja will be composing music for the film. It was earlier reported that Malayalam Actress Kalyani Priyadarshan is debuting in Tamil through this film. Kalyani Priyadarshan is the daughter of director Priyadarshan. It is now reported that another young actress has roped into this film. Actress Ivana who played the role of Arasi in Naachiyaar directed by Bala is joining the cast of #SK15. On the event of her birthday today, 24AM Studios welcomed her on board while wishing her a happy birthday. Arjun is working with P.S.Mithran in #SK15 for the second time after Irumbu Thirai in 2018. George C Williams is the cinematographer while Antony L Ruben is the editor. 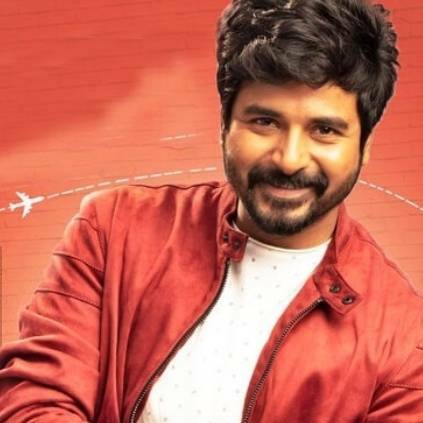 Sivakarthikeyan is also working in Mr.Local directed by Rajesh M and #SK14 directed by R.Ravikumar. People looking for online information on 24 Am Studio, Anthony L. Ruben, Arjun, George C Williams, Ivana, Kalyani Priyadarshan, P S Mithran, Sivakarthikeyan, Sk15, Yuvan Shankar Raja will find this news story useful.